We’ll start with an easy question. What do we mean by logistics? There are actually a variety of different meanings behind this term. In this case, we’re talking about the activity by commercial organisations of transporting goods to customers. It is crucial that businesses think carefully about this area of the business model for a variety of reasons. Costs, for instance, can be high here which is why there are many businesses that choose to outsource this area of the company and get another business to handle deliveries. Though, there are certainly issues that can arise with this plan. You need to think about speed and efficiency as well. If your logistics services aren’t efficient turnaround for your company is going to be slow. This could lead to customers favouring the competition instead and avoiding your business completely. So, let’s explore some of these areas and make sure you know how to keep logistics on track in your company. The warehouse is where you keep all the stock before it is shipped off to customers and a great warehouse goes a long way to making sure that logistics in your business are top notch. Obviously, if your warehouse is run in an effective way, it will be a lot easier to get things out and on the way to your customers without delay. Tech could play a big part here, and unsurprisingly, this is not the only area of logistics where a little more tech could benefit your company a lot. Here, we’re talking about cloud servers. With cloud servers, you can complete inventory stock management remotely. That means regardless of where you are, you will know exactly how much stock is left in your company. This is fantastic because it’s not just you that will be able to check this. If it’s on the cloud server, every part of your business will be connected and be able to see how much stock is left. So, for instance, you might have more stock of a certain colored item. If that’s the case, marketing would know to push this color more than the rest. It’s a basic example, but it shows just how important connectivity can be. Of course, if you want a great warehouse, you need to make sure that it’s easy to manage, move and prepare items. For this, you need the right equipment, and with forklifts for sale online, it’s easy to get this for your company. Though it is certainly an expensive commitment and that’s where you have to think about whether it’s worth handling the logistics of your business yourself. As already mentioned, a lot of companies do outsource, and it is worth exploring this option. 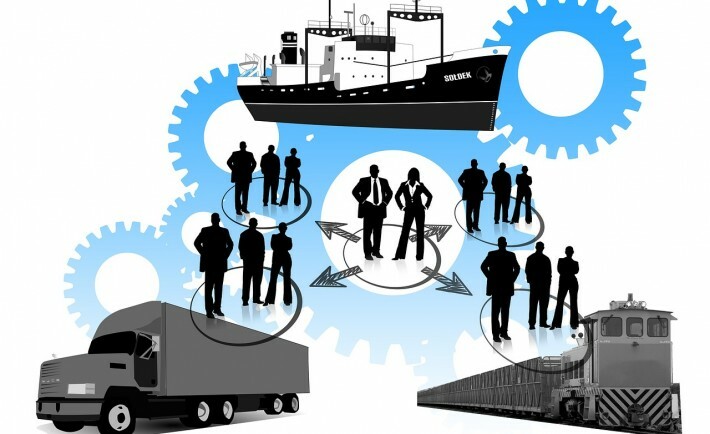 Is Outsourcing Logistics A Smart Move? By outsourcing logistics, you will be employing a company to handle everything for stock management to deliveries and everything in between. The advantage of this move is that you no longer need to worry about these areas of the company yourself. It takes a significant weight off your shoulders as a business owner. You can also limit the costs if you get the right service, but that’s a big ‘if.’ There’s a strong possibility that you’ll find the service adds a large amount to the overall cost which is of course exactly what you were trying to avoid. It’s why you need to compare the costs of these types of services because we’re not talking about pocket change here. You could be dealing with massive amounts of money that will ultimately be added to your business budget overall. There’s also an issue with quality. One of the aspects that you should always consider when outsourcing any area of your company is whether the new business can maintain the same level of quality. If the answer is no, then it’s a serious issue, and this is especially true for outsourcing. If you look at reviews online, a common issue that customers have is with the speed and quality of deliveries. They hate when deliveries arrive late, when packages arrive damaged and when the customer service for the company providing the deliveries is terrible. There are ways around this. You can check whether the company has a positive performance history online and also explore some of their other clients. Check whether the businesses that they provide a service for have a fantastic record for deliveries. If they do, then there should be no issues using that particular company for your own logistics. Still, it’s important to realize that ultimately whenever you outsource, you are giving away a fraction of the control of your business away. This isn’t always a bad move, but it does mean that you get to make none of the decisions and all of the responsibility or indeed accountability for the outcomes. When you do set up the logistics area of your company, you need to think about what customers want. Ultimately customers want to be in the loop, and they want to know exactly when a product is going to be delivered or when it will arrive. They are eager to ensure that the service is customization so they can choose when a product will be delivered too. This is something you should take into account regardless of whether you are managing your own logistics or not. Again, tech can help here. With tracking tech, you can make sure that customers are always able to see exactly when a product is going to be delivered and how long it will take. They will even be the first to know if a product is going to be delayed and you can see how this would be beneficial for them. You may also want to think about setting up an app for your business so that customers can keep a check on their deliveries and orders. Make things easy as possible for customers and they will buy more products. It’s as simple as that. We hope you find this helpful when dealing with logistics in your company. Being a start-up can feel like an aggravating process. Resources are limited, and capabilities have a ceiling that can only be raised inch by inch. Consequently, many SME’s feel a fire to get out there and meet their thousands of potential customers, but simply lack the means of doing so. Put simply, it can be a punishing confinement, only beaten by a long waiting game and long slogs of hard work. However, any enterprise no matter how big or small must get out there and establish itself. The back-alley corner shop won’t suffice alone, and it’s important to have a physical presence beyond the borders of the building. Subsequently, delivery options are a great way to stay relevant and in contact with consumers and clients so long as it follows a viable scheme. Many SMEs crave that constant connection with their customers, pumping their assets into a delivery scheme that charges them monthly or annually. Of course, this can be crippling to the cashflow. However, with pay as you go, start-ups are only paying for what they use, undeniably saving money in the long run. It’s also a sensible way forward if your SME is facing substantial debt, allowing a cost effective method that doesn’t drain all resources. After all, there are cheap pay as you go delivery options through TNT, fostering an occasional service more than a regularly expensive b2b relationship with a delivery company. Ultimately, it’s a measured approach, using meticulous strategy to find the best deal. Start-ups can’t afford to invest in a long-term scheme, so the pay as you go tariffs provide that much needed aspect of controlled spending. Those who carry out their own deliveries are burdened with additional costs and time consumptions; vehicle purchase, vehicle storage and vehicle maintenance all factor into the proceedings. However, thanks to companies such as TNT, these courier services take over those duties themselves. The arrangements are conducted by quickly filling out a form, listing the details of package and parcel as they handle the rest. Undoubtedly, this method relieves a lot of pressure and responsibility on the SME, with a secure peace of mind for the start-up moving forward. Undeniably, start-ups must direct their attention and resources to their business alone, and running a delivery service within their company will inevitably be incompatible with their early aims, objectives and resources. Despite their constant mobility and long hours, couriers themselves are in for a constantly tough ride. It’s undoubtedly a difficult role, one that is critically undervalued in the UK. Nationwide, couriers are treated unfairly in the current climate, citing a low or even total absence of pay. They are not paid hourly, but by each delivery and often earn under the national minimum wage. Consequently, start-ups especially should feel that desire to help ‘the little guy’ and use pay as you go delivery services regularly, committing to a delivery method that is helpful to all. Ultimately, the pay as you go process gives back under that broken system, so it’s an option worth exploring in that it benefits more than the SME alone. Inevitably, with the limited options and resources of the start-up, they will certainly scour the web and their contacts to secure the best deal. After all, there is more than only one delivery service out there! 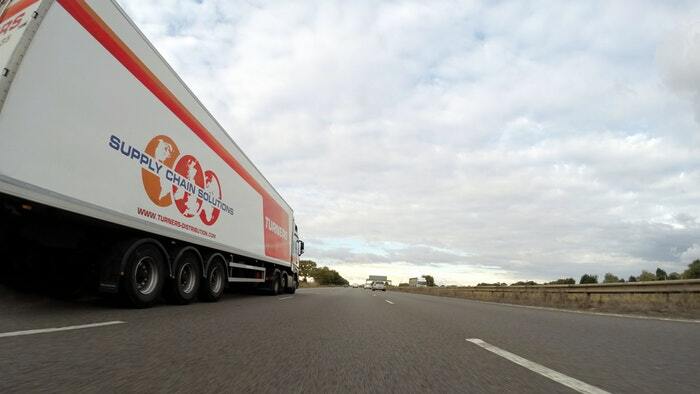 However, parcel delivery experts frequently list the frontrunners in the sector, with TNT being firmly established among the best parcel delivery services in the UK. It’s a reliable and on-hand tool, with the statistics on show to inspire an informed decision. Every budget is valid under such services, with surcharges listed for a transparent transaction. Ultimately, SME’s don’t need to wonder if they have secured the best deal. The information is all readily available at the click of a button!